This lesson is the second lesson of the grains unit. It is a grains cookery lab where each lab group makes a different grains dish and the class samples and taste tests them all. It is a great way to have students try a variety of grains without breaking the bank or spending too many days on it. Apply food selection and preparation guidelines related to grains. Review from Introduction: What are the three most common grains in the US? What is the difference between short and long grain rice? What is the ratio of water to rice? Name some uncommon grains. A few notes on the recipes. First of all the recipes finish a different times. I usually assign a book worksheet (I use Food for Today) along with the lab worksheet so as individual groups finish cooking or are waiting for something they work on book work. As taste test samples are done students sample and fill out the lab worksheet. I also have a maximum of 20 students per class. I have students only make one recipe (recipe serving sizes vary)….these are taste test samples not full meals. That being said I have the bran muffin group make mini muffins and the buckwheat pancake group make enough small pancakes so each person can have one. Note there are several ways to deal with the Tabbouleh recipe. The first is to soak the Bulgar for the students (1 hour) or at least start it so there is 15 minutes remaining. The second is to have them taste this recipe the following class since the flavor deepens with time sitting in the refrigerator. I would suggest the later if you are going to give a quiz on grains the next class…then they also get to eat. I don’t know about your students by mine like to eat every class! 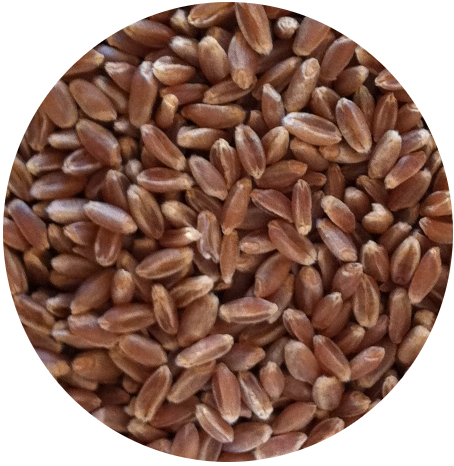 Go over the standards of quality for grains. Have students write them down in their notes. Grains should not be so soggy/mushy that they become clumpy in most circumstances. Distinct particles, granules or flakes. Pasta should not be over cooked so that it turns into a slimy, sticky, clumpy mass. Instead it should have distinct strands or pieces and be tender but not mushy to bite. Each lab group will make a different grains recipe. When everyone is complete, have students sample each of the recipes and fill out the taste test lab sheet. While grains are cooking or while groups are finishing cooking students should work on textbook grains worksheet. Class Oral Evaluation: Take a vote on the class’ favorite grain recipe. Was anyone surprised that they liked a grain that they wouldn’t have normally thought they would like? Why is eating whole grains important?